User management is one of the most important tasks that an IT organization does. 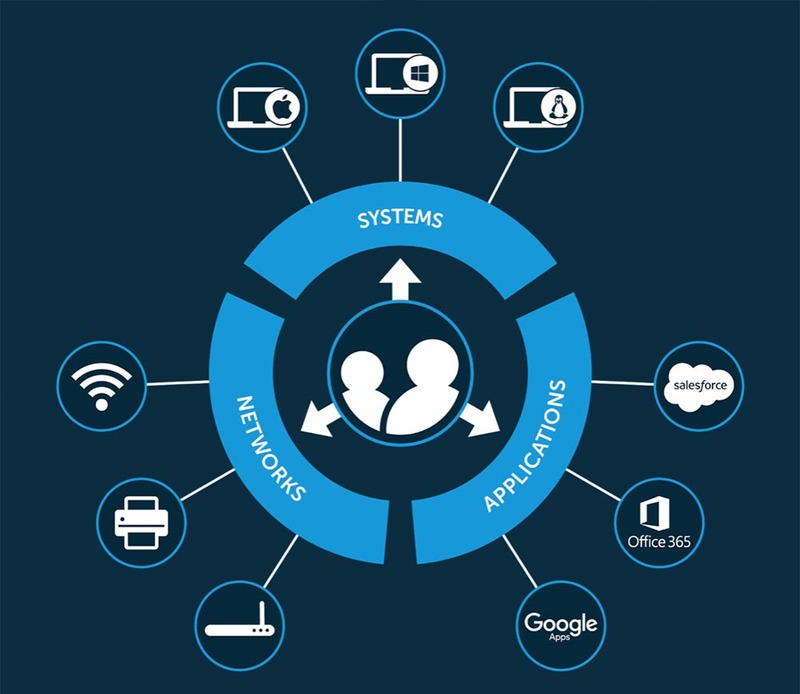 Connecting users to the IT resources they need enables workers to be productive, but it also has an impact on the overall security of the organization. Hosted user management describes basically the same idea, with the main difference being that hosted user identities are stored in the cloud rather than on-prem. Identity and access management (IAM) really came into its own during the late 1990s and early 2000s. Microsoft dominated this sector with their Active Directory® platform. Since IT networks were virtually all Windows and on-prem, this made a great deal of sense. As the IT environment shifted, a number of new user management tools emerged beyond the compulsory Active Directory instance. One for critical systems like routers, switches, servers, and other important components – this was called privileged identity management. Another for web applications which was first generation IDaaS solutions. This created a number of mini-user management systems. That, of course, increased the complexity for IT admins. This complex approach is the most widespread implementation in use today. Typically, this shakes out to an on-prem directory service instance like Active Directory or OpenLDAP working in tandem with cloud resources like SSO or SaaS apps, cloud productivity platforms (e.g. Office 365 or G Suite), and hosted email servers to name a few. Any IT admin will tell you this is certainly not the most efficient approach, but it is effective for the most part. However, the effectiveness of this approach as it relates to user management really depends on two things: a Windows-centric environment and sophisticated on-prem infrastructure. While this may be a minor annoyance for older or larger organizations with more mature IT infrastructures, it can present significant barriers for younger, smaller, more cloud-forward organizations that leverage heterogeneous solutions for enterprise systems (e.g. Windows, Mac, and Linux). Over the years there have been many different types of tools and resources brought to market to help IT admins circumvent these issues. Thus, keeping on-prem infrastructure intact while organizations leverage cloud resources. But these tools are like trying to fit a square peg into a round hole. Savvy admins can force this approach to fit into their infrastructure, but it can only take them so far – not to mention they’re still locked in to the on-prem ball and chain. Fortunately, a new generation of hosted user management systems is taking this to a new level. These new cloud identity management platforms – led by Directory-as-a-Service® – are making it easy and efficient for IT admins to manage user access while also dramatically increasing security. 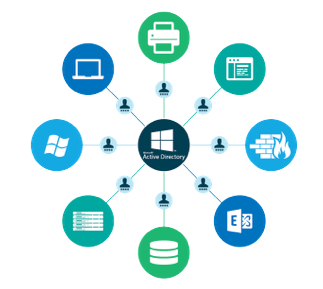 Directory-as-a-Service is centralizing user management into a hosted service. 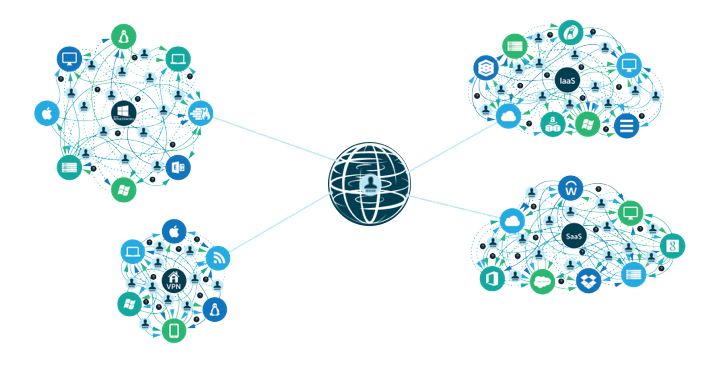 You can integrate one identity to access systems, applications, files, and networks as needed. Through the use of a variety of protocols including LDAP, SAML, RADIUS, SSH, REST, and others, you can control access to a wide range of IT resources regardless of location, protocol, provider, and platform. Further, supporting heterogeneous environments (e.g. Windows, Mac, and Linux) is a cornerstone of the platform, which is unique to Directory-as-a-Service. What this really means is that IT admins have the freedom to choose which tools are best for their organization, not those dictated by tradition or market leaders. Having the right tools for the job is half the battle, which is why Directory-as-a-Service has been able to improve hosted user management for so many organizations. 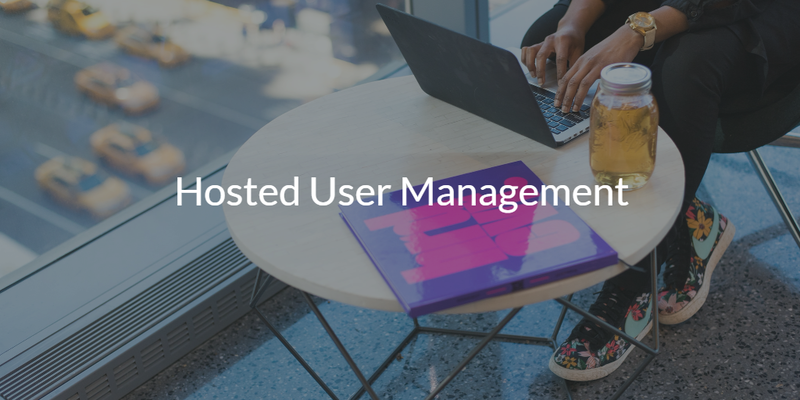 If you would like to learn more about hosted user management, and how Directory-as-a-Service improve your IT infrastructure, drop us a note. You can also sign-up for a free account and see the future of hosted user management in action. Your first 10 users are free forever.